Whether it’s summer or winter, you can always find an excuse to get the top down on your convertible car. All of the convertible cars in our list of favourites have style and space for four people, ranging from upmarket cruisers to compact city runarounds. Here are our favourite convertible cars for under £14k. The BMW 3 Series Convertible has been replaced by the 4 Series Convertible, but the 3 Series still looks suitably fresh and upmarket. It boasts sleek lines with the roof up or down, and it takes less than 30 seconds to switch between the two. The folding metal roof is BMW’s first ever, and it combines the refinement of the 3 Series Coupe when the roof is up with sleek, uninterrupted lines when you want to soak up the sun. What’s more, the 3 Series is just as fun to drive as the rest of the range thanks to a great range of petrol and diesel engines and an engaging driving experience – lopping the roof off hasn’t damaged the BMW’s reputation for great handling. 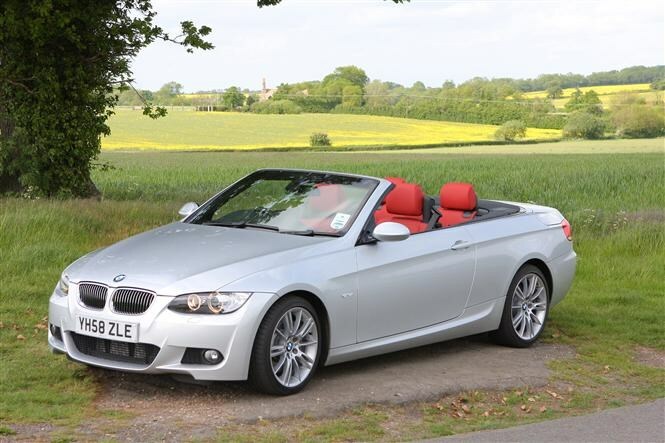 All models come with a generous level of standard equipment, while there’s enough room for four – just pack lightly if you want to travel with the roof down. 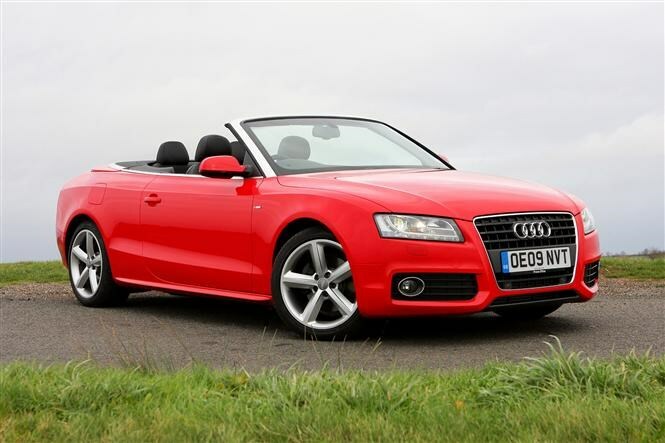 The Audi A5 Cabriolet has the same handsome looks as the coupe on which it’s based, with elegant lines once the fabric roof is lowered. Boot space is a generous 360 litres – more than the 3 Series – because the fabric roof takes up less space when it’s stowed. The roof can also be lowered and raised at speeds of up to 30mph, so you can really show off. The engine range is a mixture of effcient diesels and smooth petrols – we’d go for one of the 2.0-litre diesels for the best blend of performance and economy. Entry-level SE trim is well equipped, but sporty S Line adds bigger alloy wheels and a bodykit to boost the A5’s kerb appeal. It’s not as fun to drive as the BMW, but it’s still a great boulevard cruiser with strong residual values. 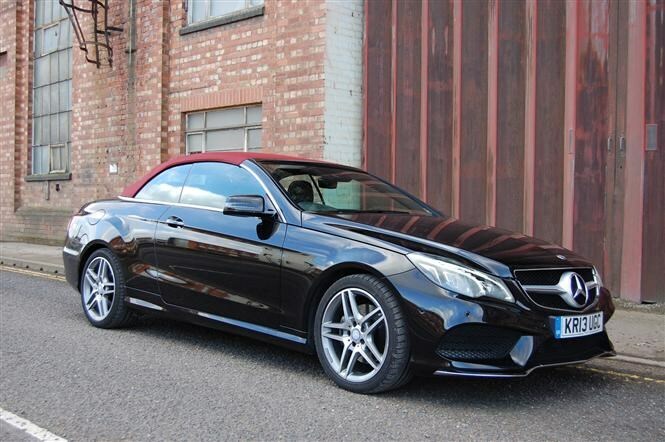 The Mercedes E-Class Cabriolet shares sleek looks and an upmarket interior with the E-Class Coupe, with the added benefit of being able to lower the roof (at speeds of up to 25mph). The desirable image will appeal to many, while a facelift in 2013 kept it fresh and in line with the latest range of Mercedes models – AMG Sport trim is particularly appealing. The E-Class also benefits from neat features like Airscarf which blows hot air onto the back of your neck; AirCap which directs air over the car instead of into it; and an automatic wind deflector to reduce buffeting for rear-seat passengers. There’s a decent amount of space in the back too, while the boot is between 300 and 395 litres – roof down and up respectively. All engines are smooth and responsive – the E350 CDI is particularly punchy with reasonable running costs – but the E-Class is geared more towards relaxed cruising than being thrown around corners. 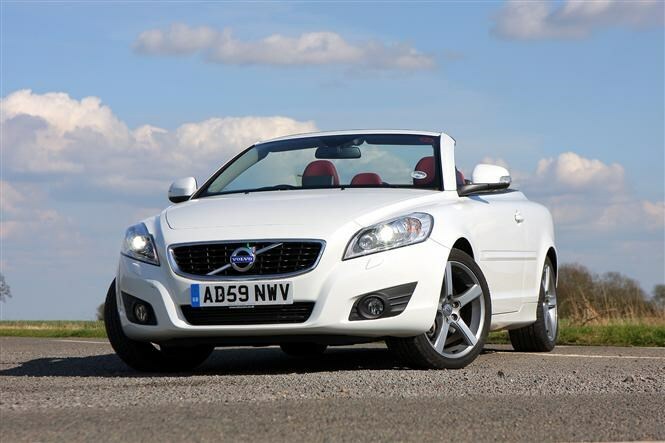 The Volvo C70 was something of an also-ran against its German competitors, which does it a disservice. It’s got plenty of room for four passengers – even adults will be comfy in the back on longer journeys – while the boot boasts an impressive 404 litres with the roof up. This capacity halves when you lower it because of a complex folding mechanism, but it looks good in the process. The interior is pure Swedish style and quality, having stood the test of time well. The driving experience is the biggest letdown though. The steering feels numb and lifeless, so it’s much better suited to relaxed cruising than B-road blasting. 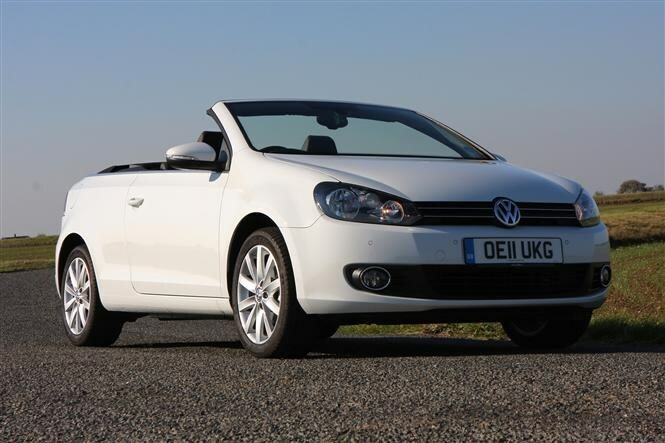 The VW Golf Cabriolet is based on the Mk6 Golf hatchback and boasts a fast-folding fabric roof. It’s got the highquality interior you’d expect from VW, but practicality has taken a bit of a hit in the conversion to a drop-top. The boot has a slightly awkward opening, but it’s roomy enough and there’s a decent amount of room for four passengers. There’s a strong engine range too, with effcient turbocharged petrol and diesel engines to choose from – there’s even a BlueMotion version with just £30 tax. 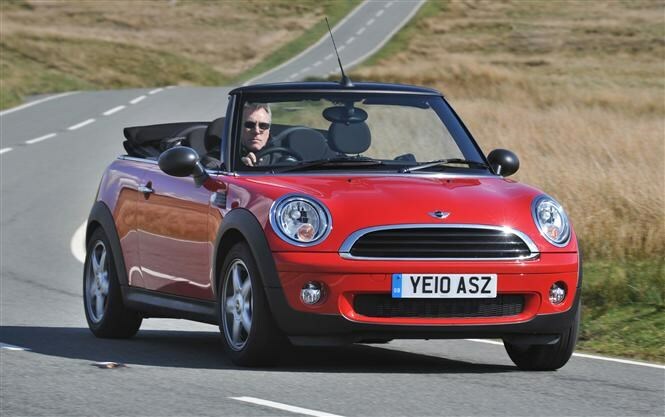 MINI can be forgiven thanks to a fantastic driving experienceand cheeky looks. It’s great fun to drive, but remains pretty cheap to run – especially the frugal diesels. MINI is big on personalisation too, so there will be plenty of examples to choose from at this budget, most likely with some desirable extras fitted. The roof can slide back like a big sunroof before folding all the way down, although rear visibility is restricted with the roof completely lowered. 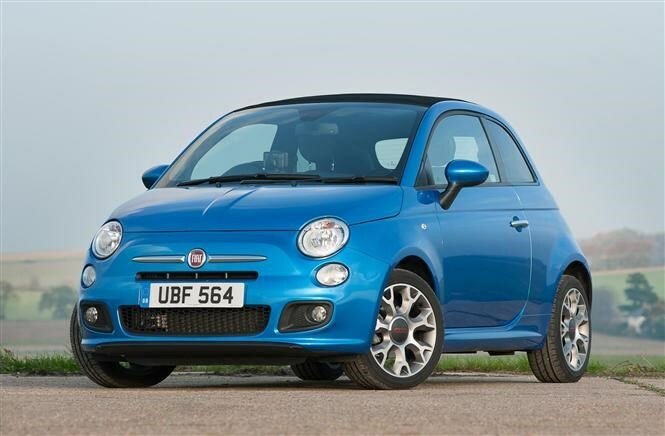 Not a convertible in the traditional sense, the Fiat 500C features a big retractable fabric roof that folds back and sits on top of the boot, while the pillars and door frames remain in place, helping the 500C retain a rigid body and reasonable high-speed refi nement. The way the roof retracts blocks rear visibility though, but the boot is only a fraction smaller than the hatchback’s and you can fit four adults at a push. It’s not as fun to drive as the MINI, but the 500C is great around town, all engines are pretty nippy and it won’t cost the earth to run. 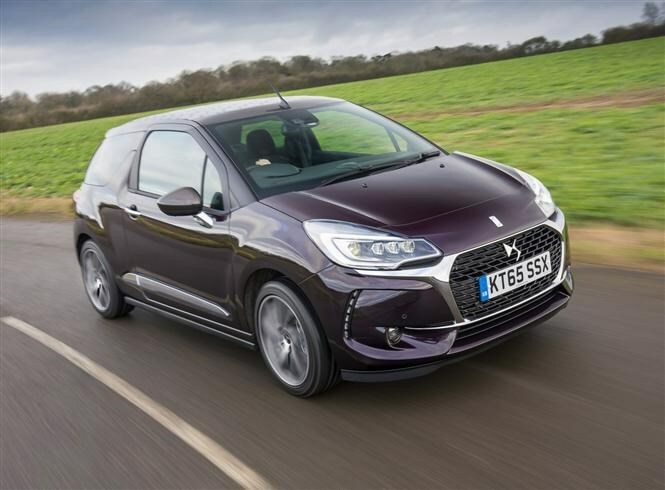 £14k will bag you a nearly-new DS 3 Cabrio. Like the Fiat 500C it features a retractable fabric roof, but the DS 3 goes for modern style instead of retro appeal. long journeys for taller people. 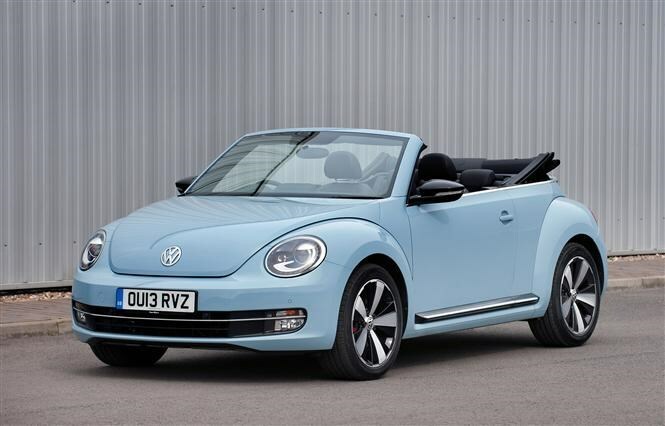 The VW Beetle Cabriolet is instantly recognisable thanks to its round headlights, bulbous bumpers and sloping rear, but it’s one of the best drop-tops for transporting four. There’s a generous amount of headroom for all, but the boot is a little on the small side. There’s a good range of petrol and diesel engines to choose from, plus it’s better to drive than the old Beetle. The ride can be a little fidgety though, and the steering lacks feedback for a truly involving driving experience. The Saab 9-3 Convertible is a bit like the Volvo C70 – a leftfield Swedish alternative but one with plenty of appeal. It looks good, has plenty of room for four inside and has a widechoice of strong turbocharged engines. At this price you’ll easily be able to get your hands on one of the last models built, plus it’s got a comfortable, well equipped interior. Quality isn’t quite up to the same standard as its German rivals, but this improved in later cars and it still feels pretty solid. The 9-3 is surprisingly good fun to drive too, thanks to a sturdy body and decent levels of grip in corners. Convertible roofs are much sturdier and secure than they once were – especially folding hard-tops – but it’s still worth checking for any signs of wear on older models. A new fabric roof can be expensive, but you can help preserve the life of a canvas roof with special cleaning products. It’s rare that a convertible is used as a main car for the family, so we’d advise you don’t stress too much about rear seat space if they’re only going to be used occasionally. However, there are plenty of suitable cars – as this top 10 shows – if you do regularly travel four-up. Cars like the MINI Convertible, Fiat 500C and DS 3 Cabrio are ripe for personalisation, but don’t go mad if you’re buying new. A jazzy roof design and decals might seem like fun at the time, but it’ll harm residual values and make it more difficult to sell on further down the line. They may look great, but can impact on comfort. Sportier trims like Audi’s S Line and BMW’s M Sport add an extra dose of kerb appeal, but the trade-off for this is often stiffer suspension and bigger wheels that harm the ride. Make sure you test a variety of trim levels to see which you prefer before you buy.